Nov. 7, 2014 10:00 p.m.
Langley historian and author Warren Sommer helped honour his late grandfather, Private James Hodge, at the Tower of London this past summer. 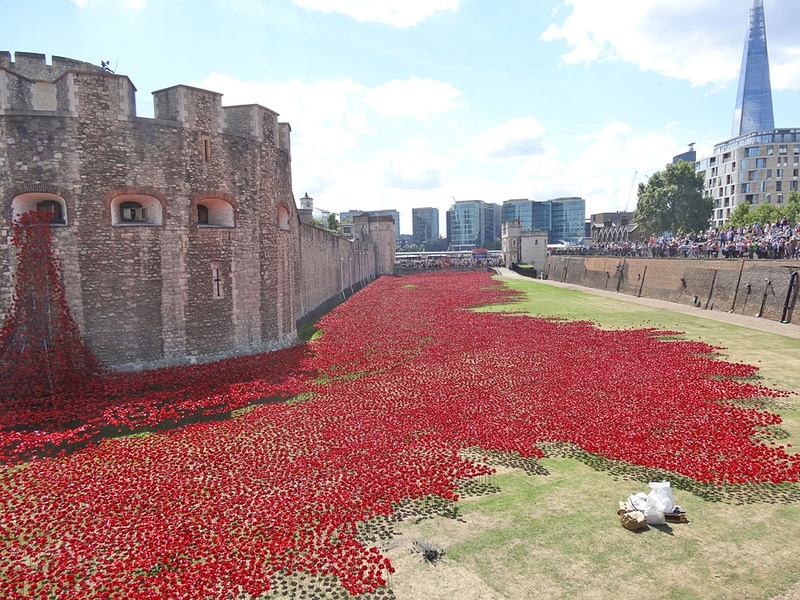 The Tower has been transformed with a memorial installation called Blood Swept Lands and Seas of Red, commemorates the 888,246 servicemen and women from throughout the Commonwealth killed during the Great War of 1914 to 1918. Each of these 888,246 Commonwealth dead has been honoured with a ceramic poppy installed for three months in the moat at the Tower, Sommer said. He was able to visit the site during a summer visit to England. A few were further honoured by being included on a Roll of Honour, allowing for their names to be read out one evening during the course of the installation. People could submit names for the Roll of Honour. â€œI nominated my grandfather, who was killed in action on his first day in the trenches,â€ Sommer explained. â€œQuite miraculously, my nomination was successful. Private James Hodgesâ€™s name was the 110th of 180 read out on Oct. 21 by a yeoman warder in a ceremony that was followed by the sounding of the Last Post. A friend from Yorkshire who is also a great-nephew of Langley soldier George Henry Topham, was among the thousands in attendance. Topham was killed in action in 1918.
â€œThe nightly ceremonies are being put online, so that relatives can see and hear the commemoration,â€ Sommer added. The ceramic poppies were sold as part of this installation and the proceeds are going to benefit veterans.